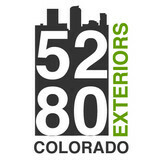 5280 Exteriors specializes in the installation of top-of-the-line exterior products for residential homes. We sell products that are built to last in a climate that takes a harsh toll on the exterior of your home, thus limiting the lifespan of its components. We have a history of trusted outfitting and home repair homes in both Minnesota and Colorado and understand the special challenges of such variable conditions. Your home is your biggest investment, and that’s why we are so selective in our product offering, as well as in our premium installation. We understand, so don’t think twice about giving us a call—we would love to discuss your home needs with you. We are home exterior specialists focusing on design consultation, planning, and installation of windows, siding and roofing for homes and buildings of all sizes. We have been in business for 42 years and service Colorado, Wyoming, Kansas, Nebraska, South Dakota, North Dakota, and Montana. We Absolutely Promise Amazing Service And The Very Best Products & Installation. We are a family owned and operated business that was originated in 1980. We provide quality products and services and do no accept any payments until the job is completed. Of course, anyone can say, “our company has quality products and good service.” So I’d rather give you specific highlights of how we are different: Amazing Products: Our standard for products is NOT “good enough.” They must be the very best. Our patio doors and custom windows for Littleton, Lakewood and surrounding areas feature high-performance GEON frames. They are the MOST energy efficient and the MOST secure. If you are comparing windows, be sure to ask about the R-value (a measure of a product's insulation value). Our windows, depending on the glass you select, have double the R-value of a typical window. Our replacement windows for Lakewood, Denver, and surrounding areas are also incredibly secure. They have a much heavier frame, double locks and a Keep Safe Glass system that is virtually BULLET-PROOF with energy ratings almost equivalent to your exterior walls. We also offer other glass packages that will exceed the competition. K&H Home Solutions has been creating happy & delighted customers, just like you, for almost 60 years throughout Denver and along the Front Range of Colorado. What’s more, we specialize in providing superior, state of the art, energy-efficient windows and door designs, insulation and the most effective siding and gutter protection systems. You will find that we are unsurpassed in value and technology. We think you’ll agree that a local family-owned company will go the extra mile to earn your business. 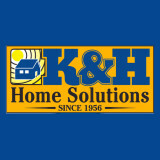 Our entire foundation is built on a legacy of providing you with a deeply satisfying sales and customer service experience to insure that you know you made the right choice with K&H Home Solutions. We’ve Helped Over 100,000 Colorado Families Improve Their Homes! Scottish Home Improvements is Denver’s most trusted name in Siding, Replacement Windows, Doors, Decks, Roofing, Gutters, Stained Glass, and Window Film. Having served the Denver metro area for more than 10 years, Scottish has created relationships with over 15,000 happy customers, maintains an A+ rating with the Better Business Bureau, and has won the BBB Gold Star representing zero customer complaints for 7 consecutive years. 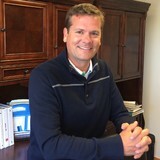 DnZ Builders was founded by Zdenek Novak and Dustin Ruggles. Both owners have been long time builders in Northern Colorado. Their expertise and attention to detail has proved their success. Realizing they both have out grown their individual companies, they decided to form DnZ. We are a local company whose owners are not only the designers, estimators but also installers. With our company you will receive the highest quality of craftsmanship and customer service. We can design your dream deck or outdoor living space, handling everything from frame to finish. Over 25 years of experience and hundreds of happy customers. We specialize in siding, and window services, offering high-quality craftsmanship paired with the latest innovations. Whatever your style, needs or budget, we have you covered. We are here to answer your questions and provide you with the advice you need. I am your local professional for all things Siding, Stucco, Painting. In addition to that we love to build Decks & Patios. 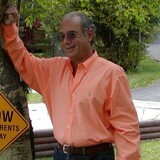 I am here to help from design to project completion. Repairs and complete remodels. We are licensed and insured remodelers transforming exteriors across Colorado’s Front Range. The intense weather and rugged terrain impact homes in unique ways for this region. The ever-evolving residential styles call for intelligent design and knowledge of high-performing materials. We guide the process of visualizing the project before the home owner makes a significant investment. Careful consideration of the architecture, the environment and the aesthetics of the home, illuminate the best approach. We design then build with natural-looking materials: fiber cement, engineered wood, cedar, trusted composites, stucco and stone to achieve beauty and functionality for your home. If you need to replace your roof, upgrade your siding, install new windows, build a deck, or need to install or replace any doors, we have you covered. Since 1997, we have been guiding homeowners through the construction projects that make their homes better. Our team of talented installers can handle any customizations that you may want, and are happy to do it. When you choose us, you can know that your home will soon be better. We strive to maintain the highest standards of honesty, value, and quality in the home improvement industry. We offer no pressure, no obligation, Free Estimates. We are proud of our work so that you can be too. Scottish Home Improvements provides the highest quality windows and siding to clients in Denver and all across Colorado. We feature James Hardie fiber cement siding as well as Milgard windows and doors. We can also help you with your other fiber cement, vinyl, wood, cedar, and steel siding commercial and residential projects. Contact us today to schedule your consultation. What types of siding services do Lakeside exterior contractors provide? Wood siding needs more maintenance than less-expensive, low-maintenance vinyl siding, but with proper care it will outlast vinyl siding, which can fade and crack over time. Your Lakeside, CO contractor might also suggest fiber cement siding, which is fire resistant and termite-proof and can come with a warranty of up to 50 years. Find siding and exterior contractors in Lakeside, CO on Houzz. Narrow your search in the Professionals section to Lakeside, CO siding and exterior contractors. Find out how long a Lakeside, CO exterior remodeling contractor has been in business, view portfolios, read reviews and get contact information.